What is Project Treble — in plain English? Why is Project Treble even necessary? How much difference is Project Treble actually making? It's tough to talk about Project Treble without getting lost in a forest of technical gobbledygook. 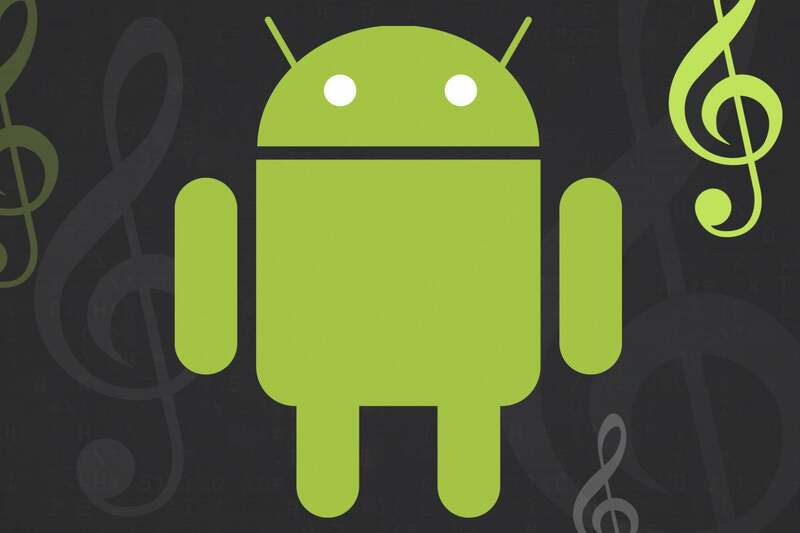 And it's no wonder: Project Treble (take a deep breath) is Google's ambitious effort to rearchitect Android in order to establish a modular base in which the lower-level code created by silicon vendors is separated from the main Android operating system framework so that device manufacturers can update the OS code without having to rely on silicon vendors to refresh the lower-level code for every release. Whew! See what I mean? In reality, though, Project Treble doesn't have to be so complicated. Let's break down what Treble is actually all about, in real-world terms — and what it actually means for you, as someone who uses Android and doesn't necessarily speak the language of mumbo-jumbo. I just fed the technical explanation into my patented Geek-to-English Translation Machine, and here's what came out: Project Treble, at its core, is all about making it faster, easier, and cheaper for phone makers to process Android software updates and get them out to users. That's the short version. Now, the context: In the past, every time a new Android version came along, phone makers had to wait for the chipset vendors — the companies like Qualcomm, which supply the processors and other pieces inside the devices — to update the areas of the code related to all of that internal hardware. It was only when that effort was finished that the phone-maker was able to start its part of the process: integrating the new Google-provided software with its own interface customizations and feature additions, then testing it all thoroughly and getting it ready to roll out. What Treble does is separate that lower-level stuff — the areas of the code related to a phone's processor, modem, and so on — from the rest of the operating system. That way, those lower-level elements don't have to be updated every time a new Android version comes along; they just exist as a constant foundation beneath everything else, and that first part of the process is no longer required. To borrow an analogy from an earlier analysis, you can think of the whole thing like a pie: Up till now, all of Android was mixed together, and that meant each ingredient had to be updated and stirred into the batter from scratch with every single OS update. Thanks to Treble, all the hardware-specific elements now exist as a crust — one that remains in place for a device's entire life. And so whenever a new Android release arrives, the phone maker can focus solely on its part of the process — the filling — without first having to wait for someone else to provide a freshly made foundation. Google actually started this process with its Android 8.0 Oreo release, in 2017, by creating the initial boundary between the operating system and the lower-level code. Rather fittingly, however, the Android 9 Pie software marks the first time the setup is complete and operational — with chipset vendors ready to support it and with a significant number of Treble-ready devices out in the wild and waiting. Over the past several years, Android upgrades have devolved into a big, hot mess — and that's putting it mildly: Aside from Google itself, with its Pixel line of phones, no Android device maker provides consistently timely and reliable software updates. And it's the users who suffer, getting stuck with dated software that lacks not only features and interface improvements from newer releases but also privacy and security enhancements and a variety of other under-the-hood improvements that only OS updates can provide. While Google has taken significant steps to make OS updates less all-important on Android — unbundling most system-level apps and services from the operating system so they can be updated regularly and universally, directly through the Play Store, and providing an increasing array of device options that come with timely update guarantees — it can't remove all of the importance from the core system software. And the vast majority of Android users remain on devices that receive OS updates painfully late, if ever. And that's why Project Treble came about — to try to cut out some of the time and cost associated with processing OS updates so that manufacturers would step up their games and users could start getting current software more quickly. That's the million-dollar question — and at this point, the answer isn't looking especially uplifting. According to Google, Treble should shave about three months off the typical upgrade process by eliminating that initial lower-level phase. But scrutinizing the data from device-makers' performance with the Pie upgrade, that definitely didn't happen — not even close, in fact. My February 2019 analysis tells you all you need to know: Nearly every major Android flagship device-maker (from a U.S. perspective) saw little to no improvement with the first true Treble test. Some companies even did meaningfully worse with the Treble-aided Pie rollout than they did with past Android releases. Samsung, notably, did a bit better with Pie than it did with Oreo — but it's hard to frame its success as a Treble-related victory. The company went from 213 days between the software's release and its first U.S. flagship phone rollout with Oreo to 177 days with Pie. That's an improvement of 36 days, which is certainly something — but it isn't nearly enough to account for the estimated 90 days of work Treble was supposed to save. Plus, looking back even further, Samsung took 179 days to deliver Nougat to its then-current flagship the previous year — basically the same amount of time it took with Pie this upgrade cycle. Before that, the company took 155 days with Marshmallow and 105 days with Lollipop. So all that really happened is that Samsung had an especially bad year with Oreo and then went back to its still-underwhelming Nougat-level performance this time around — without even going as far as to match its slightly less embarrassing Marshmallow or Lollipop era performances from the years before that. One company actually did achieve the 90-day improvement window Treble was designed to provide: OnePlus, the relatively small-scale maker of phones that have long been popular within the Android enthusiast community and are just now starting to see some more mainstream success. That's a promising indication of the type of improvement Treble can theoretically enable — but the success is somewhat diminished by the fact that OnePlus simultaneously took 47 days longer to get Pie out to its previous-gen flagships than it did with Oreo last year (and in the case of OnePlus, those phones were indeed Treble-ready). All of this serves to highlight a painful reality of the Android upgrade situation: Regardless of what improvements are made to the technical part of the process, most manufacturers simply don't care about making timely upgrades a priority. And why should they? Post-sales software support truly does require a fair amount of time and resources — even with Treble's adjustments in place — and all of that effort brings little tangible benefit to the typical third-party Android device maker. In fact, one could argue that providing timely and reliable software enhancements actively works against most companies' interests, as it makes phone owners less likely to feel the need to spend money on a new device. Treble, unfortunately, can't address that part of the equation; if phone makers see no reason to make post-sales software support a priority, all the optimization in the world won't make an ounce of difference. All considered, what we can say is that Treble absolutely does cut out a significant portion of the work required for phone makers to process and deliver OS updates — and if a company is so inspired, that can and should make it possible for upgrades to be delivered faster without any additional investments. How things play out from there, however, is ultimately in each manufacturer's hands, as this first round of evidence so plainly illustrates. This article was originally published in September 2018 and updated in February 2019. 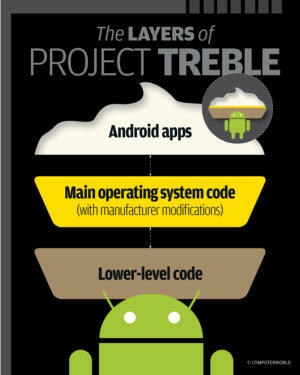 This story, "What is Project Treble? The Android upgrade fix explained" was originally published by Computerworld.